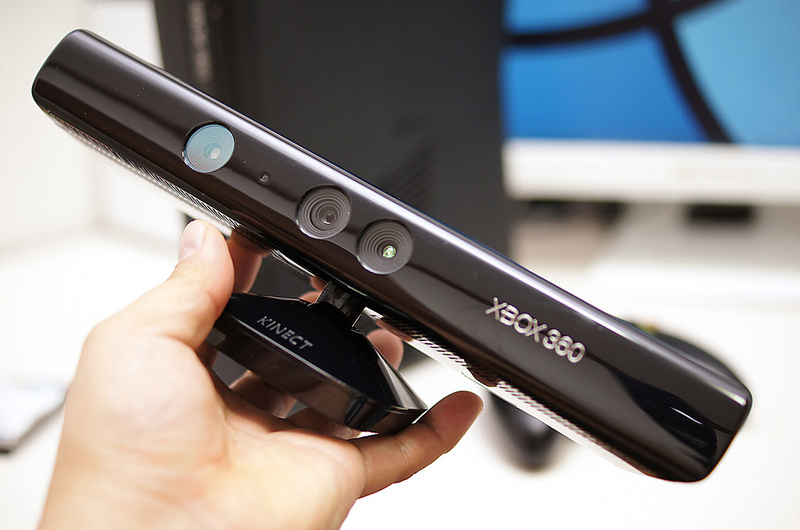 Will Windows 8 Ever Be Controlled By The Kinect? In October Micosoft will release what may its biggest gamble ever with Windows 8. The new OS will stretch across desktops, laptops and tablets, including Microsoft’s own Surface tablet (another big gamble – unless perhaps it costs $199). Windows 8 Phone will also come out (perhaps earlier than Windows 8), and there will most likely be some updates to the Metro Xbox 360 experience (or is this called “Windows 8” too?). Microsoft will also be introducing the SmartGlass app that works as a second screen, and will be offered on iOS and Android. Windows 8 is a touch-centric OS, and beyond tablets and smartphones, the value for many may decrease unless Microsoft can supply controls that can replace a touch screen. If you’ve used the previews of Windows 8 on a laptop or desktop, you might very well be of the opinion that the OS doesn’t feel right somehow with keys and a traditional mouse. To this end, Microsoft has already announced a new mouse that offers greater touch interactions for desktop and laptop users, as well as a bluetooth keyboard that has shortcut keys. For Windows 8 really be innovative on traditional PCs, however, the motion and voice controls offered by the Kinect could be key to success – but has that ship already sailed at this point? The combination of the Kinect for Windows SDK, the dedicated controller and the swipe-friendly Windows 8 interface has made many excited at the app possibilities that the combination of Kinect and Windows 8 may bring. Microsoft’s motion sensor controller has sold 18+ million units in the year and a half since it launched. According to Wikipedia, there have been 125 Kinect enabled Xbox games to date, with dozens in the pipeline (though there really hasn’t been a real “hit” yet). There are also hundreds of Kinect hacks that range from robots to advertising to medical applications. Spurred on by all of the hacks, Microsoft released an official Kinect for Windows SDK last year (now in version 1.5), as well as a separate Kinect controller for PCs. Native Kinect controls for Windows 8 was something many people expected Microsoft to have in the new OS at launch, but the final build of Windows 8 has already leaked and native Kinect controls are simply not a part of the release package. Though Kinect controls are being developed, in reality, this is most likely more of a hardware problem – what’s the point of releasing Kinect controls when probably only a small percentage of Windows 8 users would fork over an additional $250 beyond the price of their computer for the current bulky Kinect? If much smaller Kinect cameras and sensors are indeed headed our way in the near future (we’re probably further away from having the equipment embedded in laptops or tablets than we are from a more webcam-sized external Kinect) at that point Kinect applications and possibly Windows 8 controls could come soon after. But if this chicken and egg effect takes too long and the smaller Kinect hardware doesn’t get to market until Windows 8 has been out for awhile, the Kinect may not ever end up being a PC controller — because by then, Windows 8 might be completely dominated by tablets. While there is really no way at this point to know how any Windows 8 tablet will sell, let’s make a large assumption and say that the Surface and other Windows 8 tablets will succeed (Microsoft may already be working on the next generation of Surface tablets). If Windows 8 tablets do very well in the market, and the adoption of the overall tablet form factor continues to greatly outpace traditional desktops and laptops, we could very well get to the point where consumers truly feel that tablets can completely replace desktops/PCs even faster than many have predicted. If so, then meaningful Kinect integration with Windows may never come about unless Microsoft can figure out a way to convince us all that moving our hands while not touching our tablets makes any kind of sense. P.S. No, we haven’t forgotten about Leap Motion, which is another challenge against which the Kinect will have to face, though for the time being, its homegrown competition is the bigger leap it needs to make.